Oh my goodness, y’all! 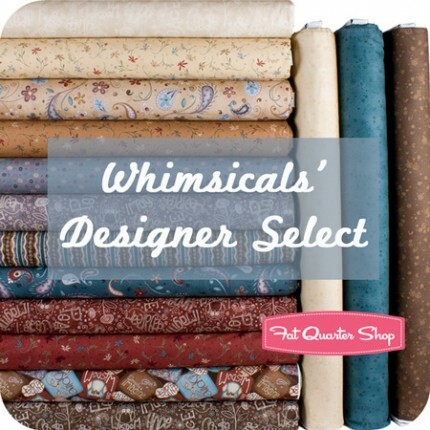 If your Grandma likes to sew, she is going to love love love this: A Designer Select Bundle featuring Whimsicals from the Fat Quarter Shop, which consists of 12 prints from Simply Imagine and 3 coordinating solids chosen by Whimsicals. That means there are 15 fabrics included, each piece measuring 18″ X 22″, or a “fat quarter. Quilters and crafters alike love fat quarters, because you can use them in so many different projects. 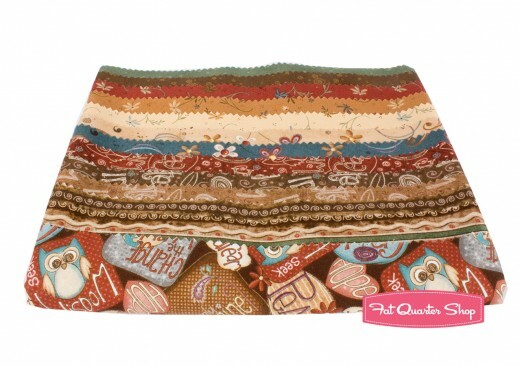 This gorgeous fat quarter set is 100% cotton and retails for $45.99. I love the blues, browns, and creams in this, and haven’t decided what to make yet. I just love looking at it right now! One reader will win a fat quarter bundle of their choice, upt to $50, from the Fat Quarter Shop. To enter the giveaway, use the Rafflecopter form below. I so love this little boy blue bundle, it would be perfect for my nephews quilt! I love the Kaffe Fassett August Rose collection. Wow, I went to the Fat Quarter Shop web page and am overwhelmed by the number of fabrics you sell. I started making a list of the ones I liked, but it got REALLY long. So…..my choice would be Verdant Landsdowne Road or Shadow Leaves. Will be looking here the next time I need fabric. Those are great fabrics! And fat quarters will give lots of options of projects to do! What a wonderful holiday treat- its all so pretty would be hard to decide. Lovely fabrics.. I love them all!! I would love a fat quarter bundle from Fat Quarter Shop! From the Designer Bundles, I would choose Jason Yenter’s Deco Bundle. So rich and classic. Indenpendence Trail by Minick & Simpson – perfect colors for my house and I need to make a new quilt for my sofa that has some of that pretty blue in it!!! They are all so lovely!! I would choose Aunt Grace First Place — these fabrics are so “happy” — thank you for the opportunity to enter the giveaway!!! 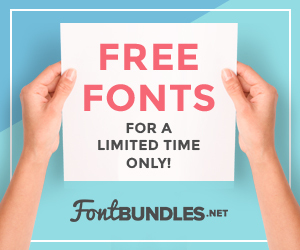 I don’t even know which bundle I’d get yet, but FQS is now at the top of my list of online shops since they are in Texas like me! I love the sparkle fat quarter bundle! It’s a great Christmas fabrics. I think I would get Freshly Winterkist, unless I could pay FQS the extra two dollars and get Ikebana (yes – I know I am a little high-maintenece – ha ha!). It is so hard to choice one, I love all of the fabrics you have, a large assortment. I prefer the Independence Trail. Thanks for the giveaway! I would either pick the Abigail fat quarter or the Congo A Fun Day in the Jungle. 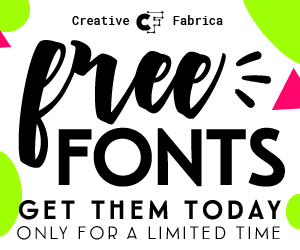 No, wait… There are seriously SO many cute options! The Abigail is so beautiful I would have to pick it. I love the all about coffee bundle! I liked the Seeing Stars bundle. I like the Hug Me bundle. I’d choose the Kaye Prince’s Blogger’s Choice Fat Quarter Bundle! Portobello Notting Hill FQ bundle by Joel Dewberry. I love it! I would choose the Wild Curiosities Fat Quarter Bundle. I’d chose the Dark Kona Cotton Solids Bounty of Basics Fat Quarter Box if I could. I’d love the Battle over Gotham to make a quilt for my son, a Batman fan. So cute! I love these bundles! I think I would choose the Boy Toys Fat Quarter Bundle, but I’m not sure because there are so many options! I think maybe the Parson Gray Seven Wonders FQ bundle in Babylon. Thanks! I would get the Vivid Impressions FQ Bundle! I really like the designs and the background colors. too many to choose from but i think i would pick monkey around…love me some sock monkey! Sincere Best Wishes is my favorite. I love the Paris Flea Market fat quarter bundle. Amazon A Fun day in the jungle.